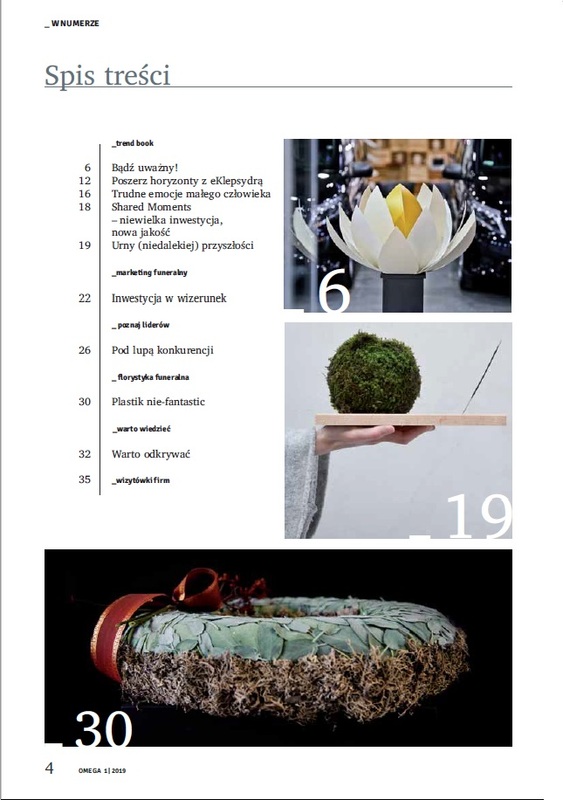 In the TREND BOOK section we show present not only interesting products and services that we found during the MEMENTO fair in Poznań, but we also present the projects of four students of the Szczecin’s Arts Academy. These prototypes might be implemented into production today and we are confident that they would find buyers in European markets. They would also be used on the domestic market if the law allowed for their functionality to be utilized. Today, when so much is said about ecology, flooding the world with plastics which severely affect the natural environment, it is worth offering pro-ecological solutions to our customers. In the FUNERAL FLORISTICS section we talk about artificial flowers, which until recently stood for kitsch, yet these days they look like live plants and at the same time do not wither, do not require much care, but can "decorate" the tombstones for months. Unfortunately, this also means that they will not be disposed of, but will decompose in landfills for several hundred years. So, what can we offer to the customer who consider longevity of the product important? 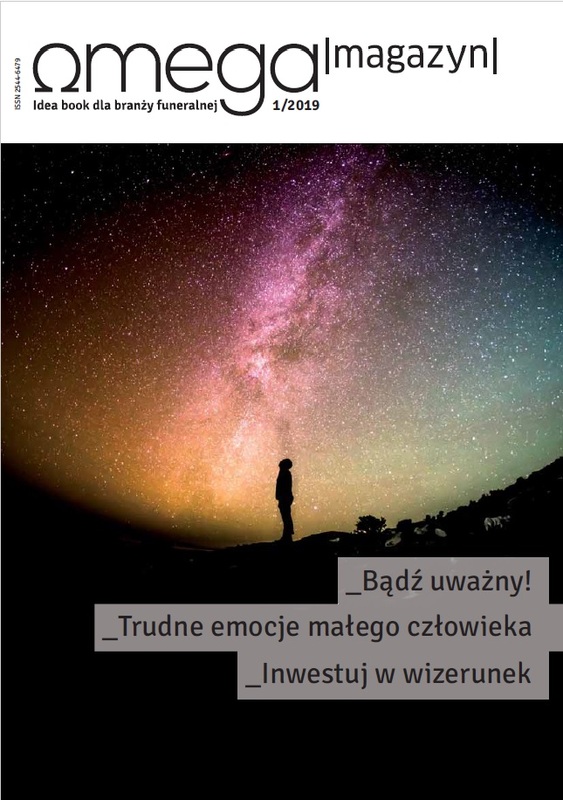 In the FUNERAL MARKETING section we focus on image-building actions, i.e. those that are aimed at building a strong position on the market, and not an immediate effect, such as sales. The return on this sort of investment can be long-term. The image-building actions involve, among others, participation in trade fairs, and this year is going to see quite a lot of them.